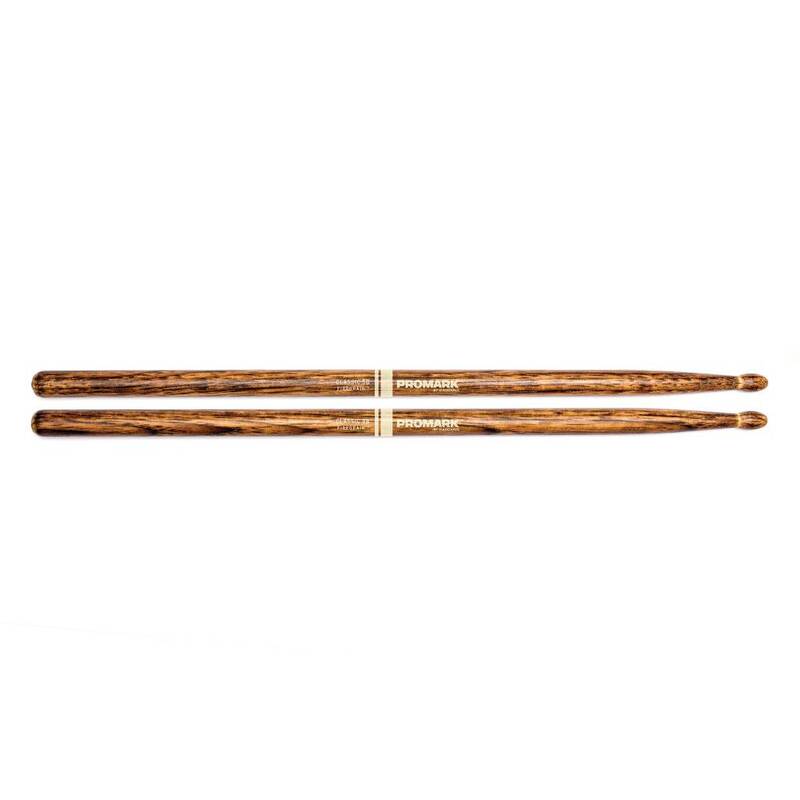 ProMark Classic 5B Fire Grain FireGrain is a revolutionary heat-tempering process that transforms ordinary hickory drumsticks into precision tools with unprecedented durability. Promark's most durable Classic 5B ever. FireGrain is a revolutionary heat-tempering process that transforms ordinary hickory drumsticks into precision tools with unprecedented durability. While keeping their original weight, balance, and attack, Promark FireGrain sticks allow drummers to hit harder and play longer, naturally. No excess vibration, no space age gimmicks, just natural hickory, hardened by flame.